Hampton Court Palace and ETO are inviting community groups to create and perform a new opera at the palace’s Great Hall in November 2015. 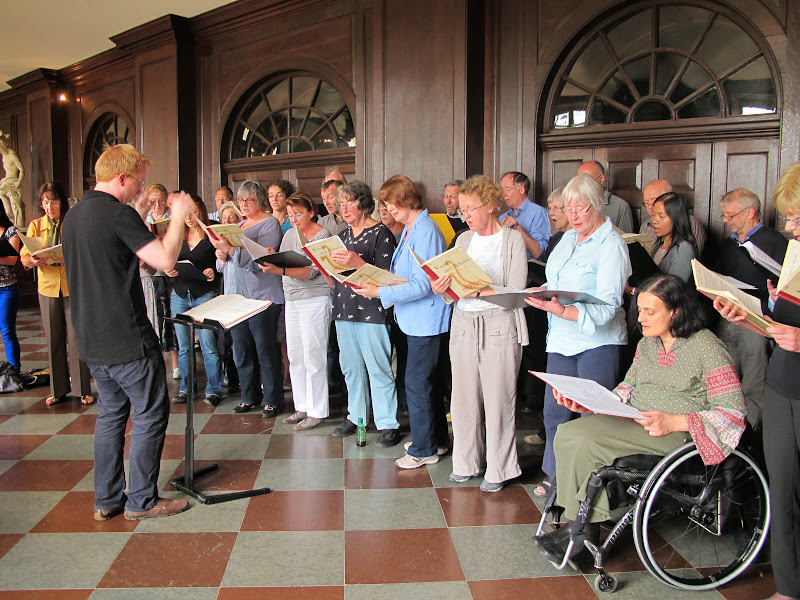 Termed Sing 500, the event forms part of Hampton Court Palace’s 500th birthday celebrations, and is its first large-scale community initiative for adults. The Sing 500 project is open to non-professional groups in Richmond, Kingston, Elmbridge and Hounslow, and will see participants visit the palace throughout the summer and autumn to take part in creative workshops, culminating in a performance in November. Hampton Court Palace is inviting interested parties to attend an information day at the palace on Tuesday, April 28 from 6pm to 7.30pm. To find out more, email Kim Klug, Learning Producer, at kim.klug@hrp.org.uk, call 020 3166 6630, or click here to visit the palace’s website.